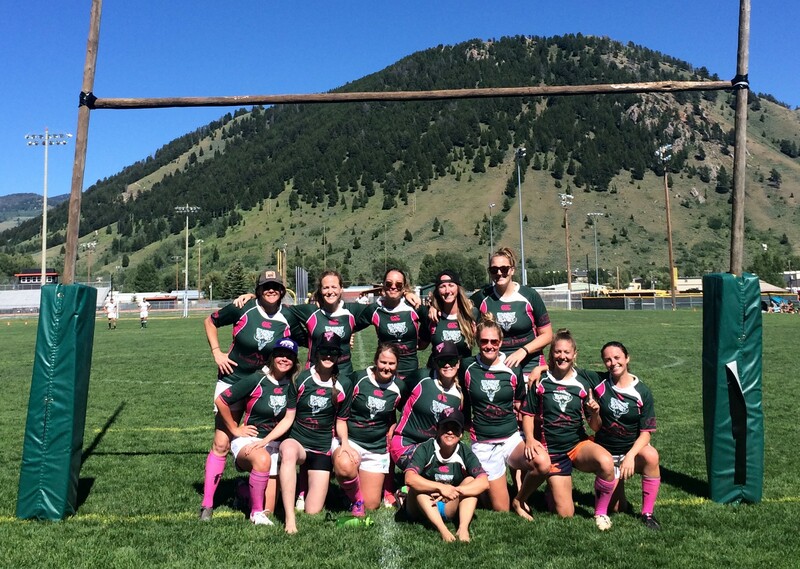 We are an adult, all-women’s Rugby club based in Steamboat Springs, Colorado. We play full contact, tackle rugby (same as the boys) and compete during the summer season. We are the first and only Colorado ski town women’s rugby club. There are not many other adult clubs like ours. The best thing about being on a team like rugby is that you are representing the community of Steamboat when you travel and play. Rather than just an in-town league, we play teams from all over Colorado, Wyoming, Utah, New Mexico, Idaho and beyond. Our goal is to influence other Colorado towns to build adult women’s teams and play 15’s, traditional union style rugby. We currently play tournaments with shorter games. For example, traditional Union rugby is played with 15 players on each team, the games are 80 minutes long, played in 40 minute halves. For the sake of time, tournaments are usually shorter time games with less people. We usually play 10’s- 10 people per team, playing 10 minute halves. Our overall goal and long term vision is to be the premier team of a women’s mountain league. 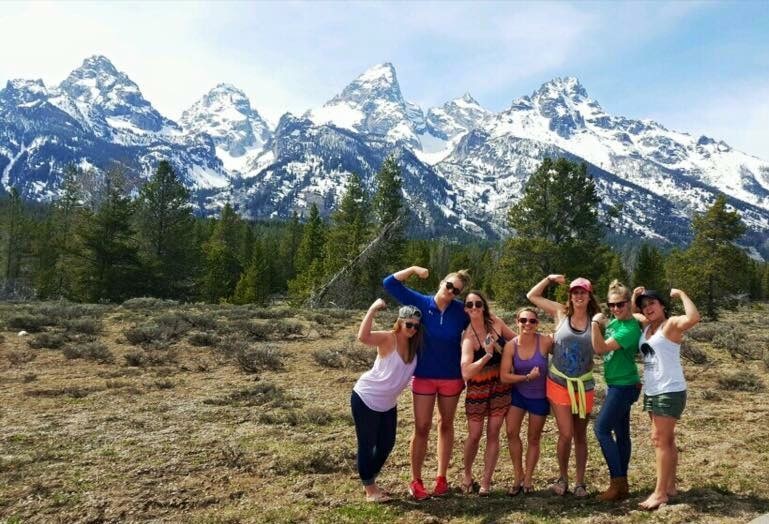 Last year we played at a tournament in Missoula, Montana, while celebrating a teammate’s bachelorette party. We played in bridesmaids dresses while the bachelorette had on a wedding dress. It was definitely a memorable moment watching her sprint past the other team and score a try in a wedding dress! The combination of fun and competition is something that makes this team great. When do you eat your Stinger? A waffle pre-game, chews during and between games, and a protein bar after. We typically play in hot weather with only an hour or so between games. The chews are light and refreshing and provide the perfect amount of energy before the next game. Practice tired! By getting a little conditioning in before practice, you are forced to hone your skills while you are tired. This can help during the game when you have to stay on point even when you feel exhausted. COWS! Our team nickname is “The Charging Heifers.” A lot of that roots from our foundation from the men’s rugby team and our legendary tournament- the Cowpie Classic. Its name roots from the history of the tournament which used to be played, literally, in the rodeo grounds amongst the Cowpies. The winner of the tournament receives a framed Cowpie to bring home with them! This entry was posted in Hive News and tagged charging heifers, Cowpie Classic, Mountain West Insurance, Old Town Pub, rugby, Steamboat Springs, Steamboat Women's Rugby, union rugby, Vertical Arts Architecture. Bookmark the permalink.